Have a little extra cash on hand? You might want to consider hiring an extra set of hands to help you with chores and tasks you don’t enjoy. According to a new study, for those who have the disposable income, paying to outsource mundane duties reduces stress and promotes happiness. Essentially spending money to save time. The research showed that those who spent money on tasks such as eating takeout, hiring a maid and taking a cab were happier than those who didn’t. 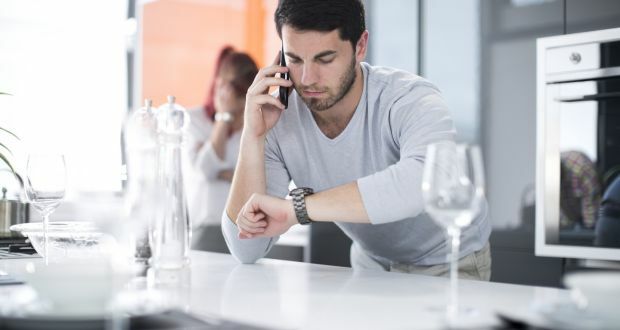 “People who spent money to buy themselves time, such as by outsourcing disliked tasks, reported greater overall life satisfaction,” said lead author Ashley Whillans, via New York Times. Researchers interviewed 4,500 people across the United States, Denmark, Canada and the Netherlands. For the 28 percent who spent money to save time, they reported more happiness than those who didn’t. The authors noted that this didn’t just include the wealthiest individuals in the world, it’s for most on the income spectrum. “If there’s some task that just thinking about it fills you with dread, then it’s probably worth considering whether you can afford to buy your way out of it,” said Elizabeth Dunn, co-author of the study. But many seem to avoid paying someone to do the daily tasks they can do themselves. Researchers surveyed 800 Dutch millionaires, all who ostensibly had the excess money to outsource tasks, though just a slight majority did so. Researchers believe that is due to the guilt involved with paying someone to do something one could do themselves. “We want to seem like we have it all together and we might be therefore resistant to spending money on time saving purchases even when we can afford it,” said Whillans. Read original article as posted in CBS Local. The post Spending Money To Save Time Leads To Happiness, Study Finds appeared first on MN Home Living.